Richards swigged Jack Daniel’s straight out the bottle. Mick Jagger chewed lots of gum. “The Stones drank about five bottles of Jack in two hours,” said Thurman. Mick and Muddy swap verses through “Hoochie Coochie Man”, “Long Distance Call” and “Mannish Boy”, the tiny stage getting ever more crowded as more blues legends join the throng, notably Junior Wells and Buddy Guy, who beams the smile of the club-owner who knows he’s got the best show in town tonight. 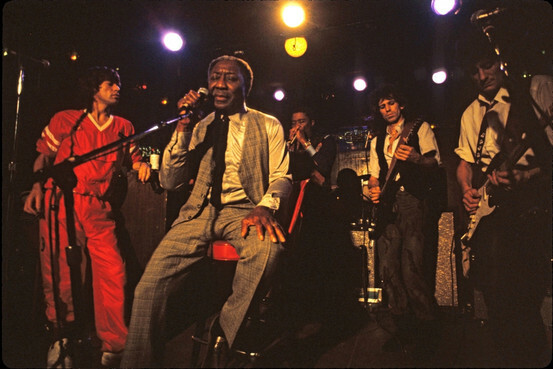 Mick tries talking in tongues on “Mannish Boy“, before Muddy and he vacate the stage awhile, leaving Keith and Ron, ciggies akimbo, to swap lines with Buddy Guy. 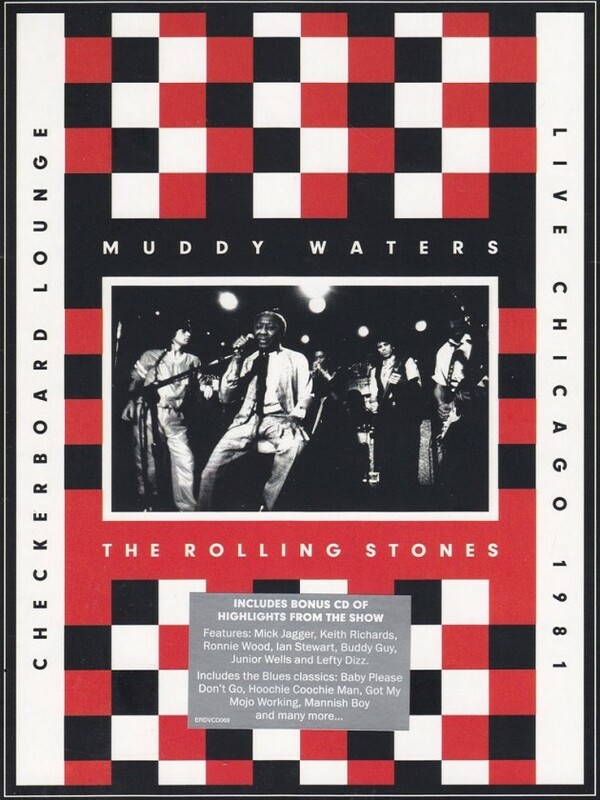 The evening comes to a suitably unkempt ending with “Champagne & Reefer”, Mick nipping in right at the close to steal Muddy’s thunder with an admonishment to stick to reefer and stay away from that cocaine. As if! Fantastic jam and the only time The Stones shared the stage with their idol.